In every Escala Session of the Beneficent Spiritist Center União do Vegetal (which always occur on the first and third Saturdays of each month), a set of documents is read after the Hoasca Tea is distributed to its members. Among these documents that guide the functioning of the Center, there is a text entitled Mistérios do Vegetal (Mysteries of the Vegetal), which stands out because of its acrostic and poetic composition. This text is what concludes the sequence of the reading of the documents. It has an interesting story tied to its origin in 1968. Its author, Giovanni Nunes da Silva, drank the Hoasca Tea a few times with Mestre Gabriel but left an important contribution to the União do Vegetal. Until recently, little was known about the history of this man. It was only known that he was from the state of Bahia, from the municipality of Jacobina, and that he had left his hometown because of the disappearance of some money. There were no further details about this event. According to Mestre Raimundo Monteiro de Souza, Giovanni arrived in Porto Velho intrigued by a report that he read about Mestre Gabriel aboard an airplane. The absence of more accurate information encouraged me to start an investigation to learn more about this man. With the information that I had in hand, I managed to locate two of his children in Salvador, Giovanilza and Gutemberg. Thanks to them, I was able to understand more about the history of the author of the “Mistérios do Vegetal”. Giovanni was tax collector for the Department of the Treasury of the State Government of Bahia, in the municipality of Jacobina. Well respected by everyone in the city, he cultivated the art of writing and reciting poetry, and for this very reason he was made the official orator for the Aurora Jacobinense club. He was married to Nilza Ferreira Nunes and they had two daughters: Miriam (already deceased) and Giovanilza. He also had three other children outside of his marriage, of which Gutemburg is the only one alive. In 1968, there were few cities that had bank branches and this forced Giovanni to sometimes carry around a high sum of money that he had collected during the week. On June 28th, the eve of the traditional feast of Saint Peter (which is celebrated throughout the Northeast of Brazil), Giovanni decided to drink some beers at a bar before going home. He was carrying a briefcase that contained official tax receipts and all the money that had been collected during the week. Already drunk, he left the bar without realizing the disappearance of the money that was in the briefcase. A total of **CRN$ 8,500.00 (eight thousand five hundred new cruzeiros) had disappeared, which is the equivalent to $ 2,658 dollars. He thought that during the trip he would find a way to prove his innocence. He felt that if he were arrested, it would be very difficult to be acquitted. He also wanted to find a way to get to Miami, in the United States, where his daughter Miriam was residing and studying. Giovanni with his daughters Miriam (E) and Giovanilza | Family photo collection. According to his daughter’s account, Giovanni started the trip deciding to visit his sister, Olga, who lived in Rio de Janeiro. After that he would go to Goiania, where his sister-in-law Nita, his wife’s sister, lived. He went to Rio de Janeiro hitching a ride on cargo trucks. Therefore, it is most probable that he read the article about Mestre Gabriel, either on his trip from Rio de Janeiro to Goiânia, or on the trip from Goiânia to Porto Velho because these two trips were made on Brazilian Air Force airplanes. According to Giovanilza, her father told her that he signed up to travel for free by the Brazilian Air Force. And, as Mestre Monteiro explains, it was precisely on board an airplane that Giovanni read the article about Mestre Gabriel. Due to the period of events, everything indicates that the article was published in the State of São Paulo newspaper, on August 29th, 1968, with the title “In the jungle, a mystic sells a dream”. The article talks about the emergence of a new religion in that region of the Amazon, led by a man from Bahia named José Gabriel da Costa. 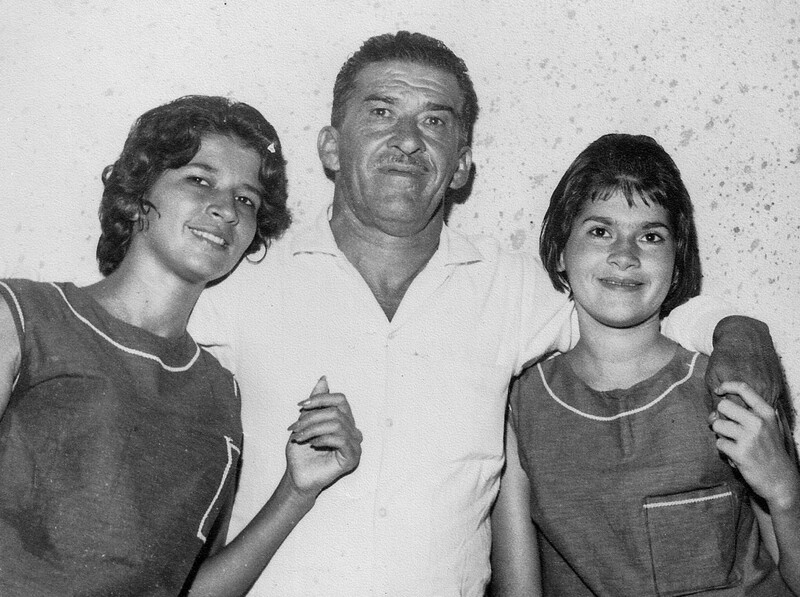 The article contained photos of Mestre Gabriel’s humble house and his family in Porto Velho. There is no record of the date Giovanni arrived at Mestre Gabriel’s house, but it is possible to know that it was in early September 1968. Shortly before his arrival, the Mestre announced to his disciples that an important person was about to arrive. 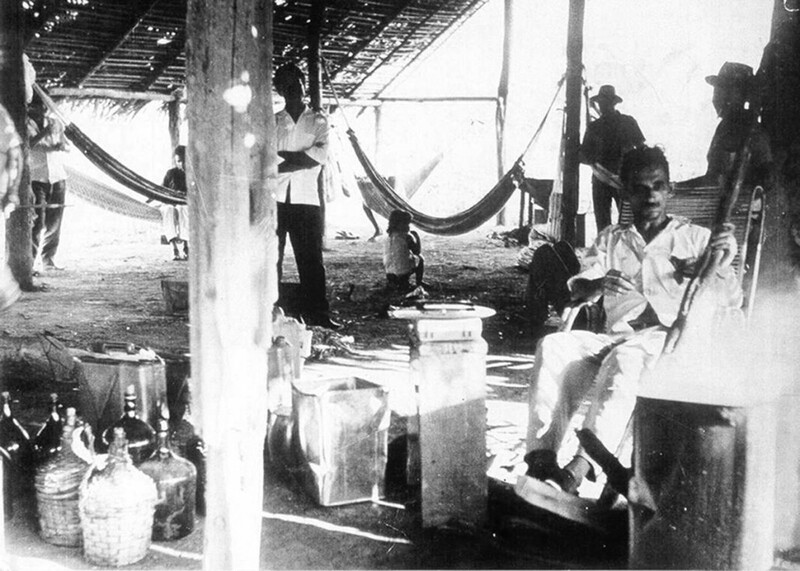 According to some of these early disciples, Giovanni spent little time in Porto Velho, but he drank the Vegetal in Sessions a few times with the presence of Mestre Gabriel. Later, he went to Manaus, where he worked in a company owned by Mestres Florêncio and Geraldo Carvalho. 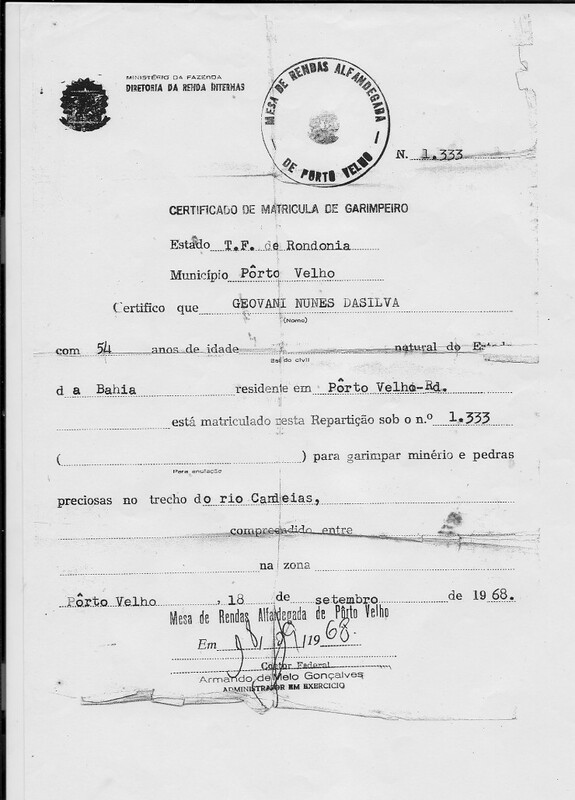 While still in Porto Velho, he registered himself at the Internal Revenue Inspectorate of the Ministry of Finance and on September 18th, 1968 he received the Mining Registration Certificate with authorization to mine in the Candeias River. Record of Giovanni’s mining certificate, dated 09/18/1968 | Family photo collection. According to the testimonies of the founding Mestres of the Center, it was during a Preparo, in the old brickyard of Mestre Gabriel, that Giovanni wrote the document. Next to the old brickyard, there was a river stream and on its margins there was a palm tree. After the Mestre distributed the Vegetal, Giovanni asked permission to go to the river stream. He had a ballpoint pen and a paper in his pocket. Arriving at the edge of the stream, he sat down leaning against the palm tree and started concentrating there. It was then that he began to write the “Mistérios do Vegetal”. After he wrote the first three verses, he took it to Mestre Gabriel. Mestre Gabriel read them and said, “there is still something missing, wait and it will come.” He then went to the back of the brickyard, where he wrote the last verse. Mestre Gabriel looked and said, “now it’s ready.” The Mestre then handed the manuscript to Mestre Monteiro and sent him to type it. At the end of 1968, Giovanni returned to Jacobina and resumed his life. The case of the lost money was dismissed by the State Government. Although he did not get his job back, it prevented him from being arrested. He dedicated himself to studying and received a technical degree in Management. He then opened an office to attend to the business of the city. He died on March 23rd, 1977 due to a myocardial heart attack. After drinking the Vegetal with Mestre Gabriel, Giovanni practically abolished the use of alcohol. His death had absolutely no connection to alcohol consumption. It happened because of a heart disease he had acquired. His daughter believes it’s probable that it was caused by the great hardships and difficulties he suffered throughout his life. His funeral seemed like a holiday in the town of Jacobina. Schools stopped their classes and businesses closed their doors so that the town could go to the funeral and say goodbye to the man that was so dear to the community. 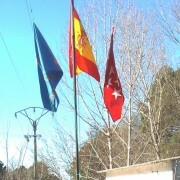 MG: “Antonio, is Jacobina very far from here? MA: “Two hours, about two hundred kilometers. Why”? 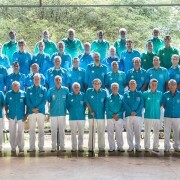 Mestre Antonio Gabriel said that Mestre Gabriel did not go to Jacobina because he had already made a commitment to be in Manaus on the 25th, and in Porto Velho on March 27th. **The new cruzeiro was a currency in Brazil introduced from 1970 to 1986. * Jairo dos Santos is a member of the Cadre of Mestres of Núcleo Vento Divino (Lauro de Freitas – Bahia). Coordinator of Translation: Isabel Cavalcante, member of the Body of Counsel of Nucleo Jardim Florescendo (Gainesville, FL – USA) | Translated: Patrick Medina, member of the Instructive Body of the Nucleo Claridade Divina (Seattle, WA – USA) | Revised: Jonathan Spoliansky, member of the Body of Counsel of Nucleo Jardim Florescendo (Gainesville, FL – USA).